The game is set around the time of the original Halo: Combat Evolved and puts you in the boots of an Orbital Drop Shock Trooper (ODST). 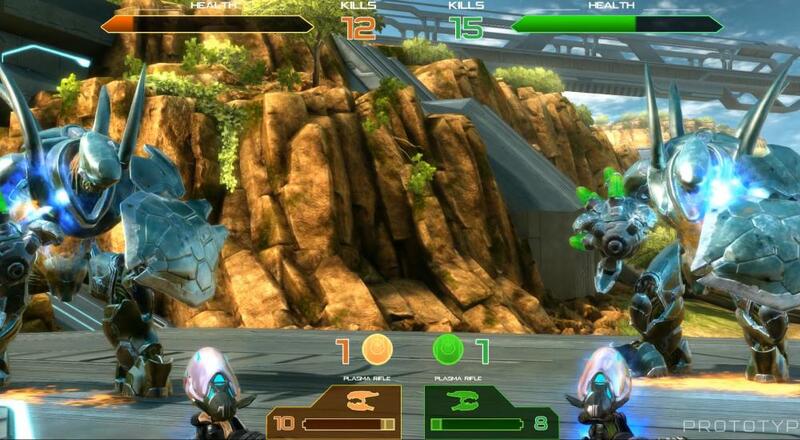 Along with Master Chief and the rest of the UNSC, you'll be fighting Covenant forces on the "Alpha Halo" ring. As far as the action itself goes, it looks like it'll be a pretty straightforward on-rails shooter in the same vein as titles like Area 51 or Time Crisis. I do miss the days of going to the arcade, but there's also kind of a reason a lot of those died out (see: home consoles and the rise of the Internet). I mean, hey, I'll definitely play this if I see one in the wild, but I'm a little surprised it isn't just a digital download title for all current platforms. Halo: Fireteam Raven will be headed to Dave & Busters in the U.S. and Canada first this summer, and then additional locations in the future.